This is a roundup of all the matches that took place in the UEFA Champions League this ongoing week. This week marked the end of the quarterfinals stage in European club football’s premier competition. Four matches took place in total and every single one of them left fans enthralled. This game was the perfect advertisement for the UEFA Champions League. If any neutral ever wants to understand why this competition is so special to football fans around the globe, this is one of the games they should watch. In this tournament, the seemingly impossible is a second away from being reality. Going into this match, Roma were seemingly down and out. Three goals behind against a Barcelona side unbeaten in La Liga, Roma would have to pull off a minor miracle to overcome Lionel Messi and Co. Roma, however, started with a fire in their belly and started to push Barcelona from the start. Barcelona, surprisingly, responded lethargically and almost care freely to the early aggression of the Italian side. It was as if Barcelona themselves believed that the tie was in the bag. They were made to pay a heavy price for their laziness as EdinDzeko struck early in the sixth minute and started their collapse.The Bosnian striker also had a header tipped over and forward Patrik Schick headed wide after being put in to a promising position. Roma, fourth in Serie A, kept up the pressure in the second period and were awarded a penalty just before the hour mark when Gerard Pique bundled Dzeko over in the box and De Rossi dispatched the spot-kick with unerring confidence.With time running out, Cengiz Under whipped in a cross towards the near post which Greece defender Manolas rose highest to meet and convert to spark jubilant scenes. During this relentless wave of attacks from the Roman side, Barcelona failed to find any sort of rhythm in attack or any stability in defense. The Catalonian outfit seemed a shadow of the side which played the first leg and lacked any sort of intensity. In the end, Manolas’s winner capped a famous night for the Italian outfit and they deservedly ran out winners against a toothless Barcelona side. 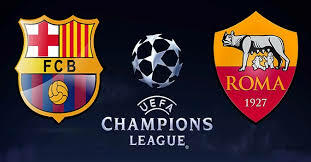 The result means Roma are set to make their maiden appearance in the Champions League semi-finals; their last visit to the last four in the top continental competition was when they finished European Cup runners-up to Liverpool in 1984. Liverpool completed a remarkable victory over Pep Guardiola’s Manchester City side and booked a place for themselves in the last four of the Champions League. Mohamed Salah and Roberto Firmino scored to help dump Manchester City out of the Champions League as Liverpool came from behind to secure a 2-1 win at the Etihad Stadium on Tuesday night. 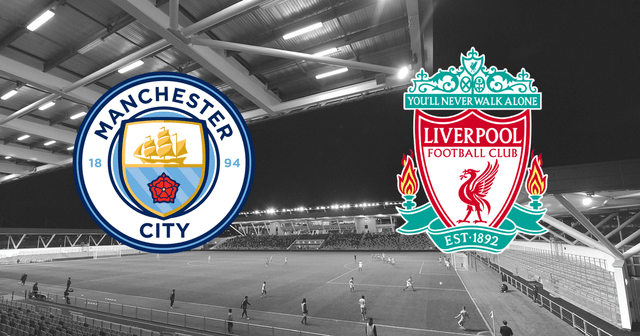 City were by far the better of the two sides in the first half but, after Leroy Sane’s goal was disallowed for offside and Pep Guardiola was then sent to the stands, Liverpool scored twice in the second half to secure a stunning 5-1 aggregate score-line that sends them into the semi-finals for the first time since the 2007-08 campaign. Pep’s side on the other hand have now suffered three back to back defeats in a what has a been a wonderful season overall. City must recover quickly to finish the season in a strong manner. Exhilarating. If there is one word which describes the second leg fixture between Real and Juventus fittingly, it is this one. Let’s put things into perspective. Having lost the first leg by three goals, Juventus had one foot out of the Champions League already. Compounding their misery was the fact that Paulo Dybala, the Turin side’s star man, had been sent off in the first leg and was now suspended for the away leg. So if Juventus had come into this match frustrated and without any hope, no one would have blamed them. But just like their rivals, AS Roma, Juventus put up a fight back which was a joy to behold. The visitors’ first goal arrived within just two minutes when Sami Khedira’s superb chipped cross into the box from the right was headed by Mario Mandzukic past KeylorNavas.The 31-year-old forward then left Real stunned when he doubled Juve’s advantage eight minutes before the break with another header, this time from substitute Stephan Lichtsteiner’s cross.Mandzukic’s second goal meant Juve were leading the second-leg clash 2-0 – and needed just one more to send the game to extra-time.And the Italians got their third on a dramatic evening in Madrid when Navas failed to claim a cross, which allowed Blaise Matuidi to poke the ball into the back of an empty net.However, in their hour of need, Real were once again saved by, none other than, Cristiano Ronaldo. 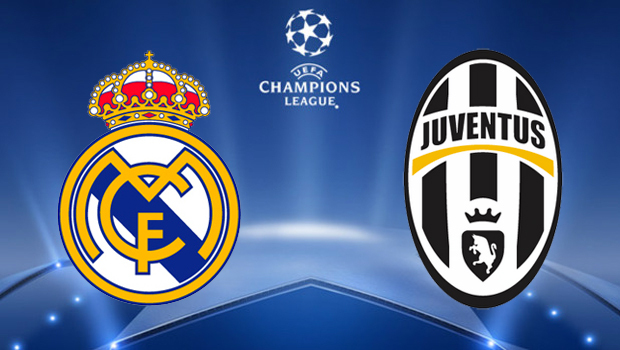 With the tie heading for extra-time, Real were handed a huge life-line in added time when they were awarded a penalty for Giorgio Chiellini’s foul on Lucas Vazquez in the area.Gianluigi Buffon was sent off for his vociferous protestations after the penalty was awarded and was replaced by WojciechSzczesny who came on for Higuain. However, the substitution was in vain. Ronaldo stepped up to the plate once again and cooly dispatched the penalty into the top corner. In the process, he booked another semi-final place for the Los Blancos once again. Bayern Munich are through to the Champions League semifinals for the seventh time in nine years after a 0-0 draw in their quarterfinal second leg with Sevilla. The stalemate at the Allianz Arena means Bayern’s 2-1 first-leg win in Spain last week was enough for them to progress to the last four, extending their impressive recent record in this competition.It was far from a vintage Bayern display as they were kept from scoring in the opening 45 minutes for only the third time in 50 games while they also were denied victory on home soil for just the third time this season.For Sevilla, it could have been different had Joaquin Correa’s header gone in instead of hitting the crossbar, but in truth a comeback never looked likely.They also ended with 10 men when Correa’s evening got worse after a late tackle on Javi Martinez saw him dismissed.